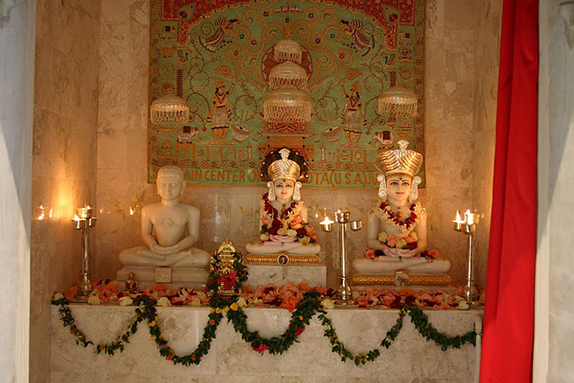 The Jain Center of Minnesota was established in October 1989 and currently serves more than 100 Jain families in the Twin Cities area of Minnesota. Its mission is to teach and promote Jain philosophy, values and rituals to pass on the faith and understanding to future generations. Jain Center of Minnesota (JCM) celebrated Aadinath Nirvan Kalyanak by performing Sangatith Puja on January 21, 2017. This is the first-time JCM performed this puja which started with Snatra Pooja and followed by Adinath Digambar Puja, Aarti, Mangal Divo & Shantikalash. It was well attended event and community members did bhavana with great passion.Bhavya aangi was done by JCM members. JCM youth actively participated in this event. Puja was followed by Swamivatsalya where food committee prepared and served Vegan food. JCM is thankful to all volunteers and donors for their generous contributions. This Puja was a great way to start year 2017 and celebrate Sangh unity. JCM organized annual summer picnic on July 31 stat Barker Regional Park at Maple Plain. 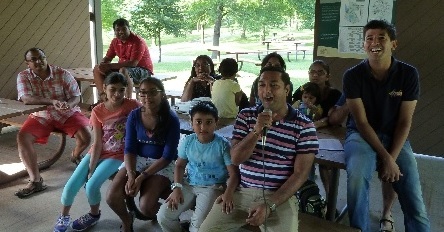 The Picnic was well attended by more than 100 community members with fellowship.The highlight of the event was Bollywood Antakshari played by all families with children.